Doonies came out on top in both the men’s and boys’ games, which were fiercely contested in the town last Thursday. The doonies won by seven balls to five in the men’s games, while the lad’s game was decided by just one ball, with the uppies defeated by four goals to three. Ashton Mulligan's Ba' was won by Toby Reid. A little bump at the courthouse didn't stop Keiran Hayes scoring. 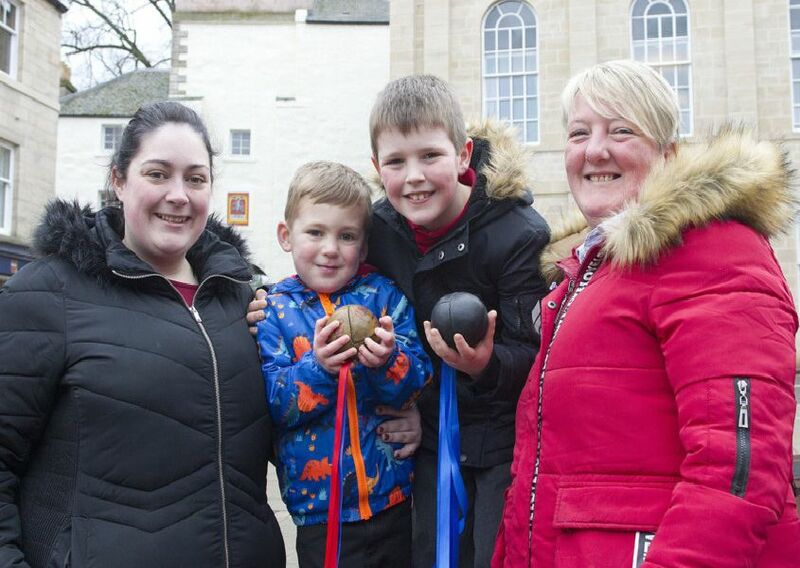 The boys' ba' at Jedburgh.